About an hour ago, we landed at the last leg of our trip for a 17-hour layover. 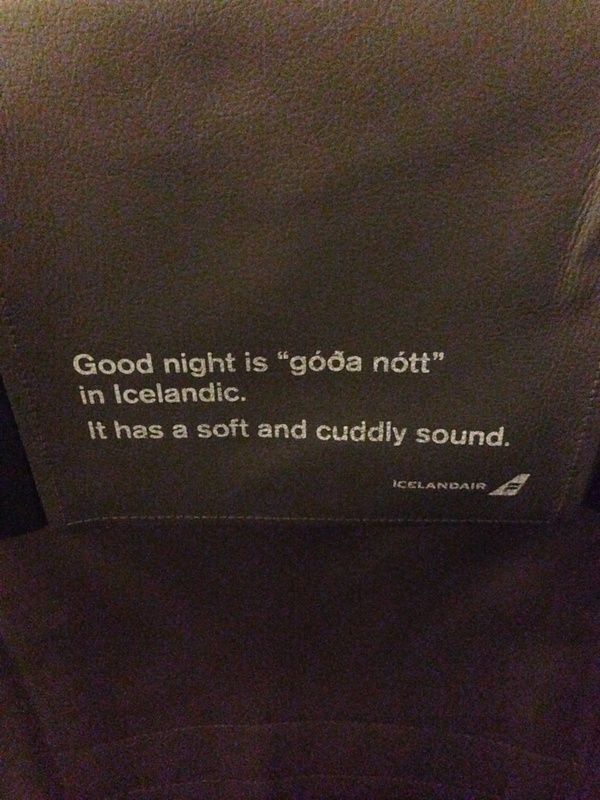 Icelandic Air’s little nugget to inspire sleep. Mostly it inspired everyone on the plane to try to speak Icelandic. I am so, so excited to be in ICELAND! Even if it is even for a short period of time, and a chunk of that time must be spent sleeping (I love sleep, but it’s really getting in the way of me squeezing every second out of our mini European adventure) and maneuvering the airport. Since it just took me about twenty tries to spell “maneuvering” correctly (and twice more when telling you that) I think I DO need to sleep, despite my resistance to this time-draining activity. 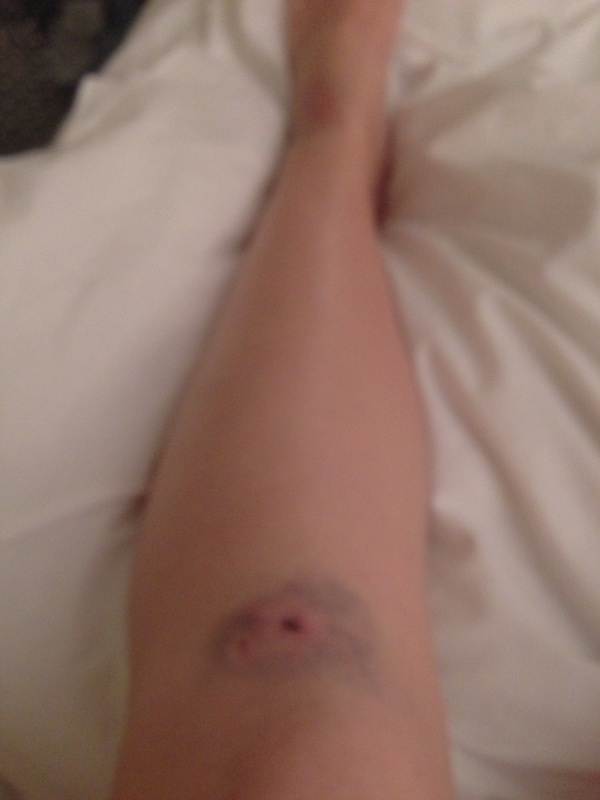 My badge of honor from the Fringe Festival in Edinburgh. It probably wasn’t JUST from lack of sleep…but you know. It’s also a terrible blurry shot for those reasons, too. Quotes! A surefire way to win ME over. 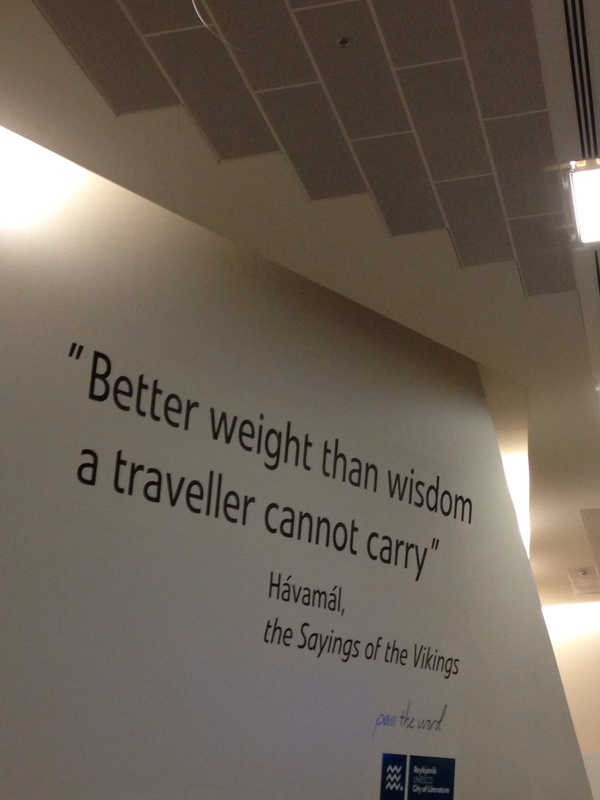 Also, who knew Iceland was founded by Vikings? I need to re-take some history, I think. Since we are going back to the States tomorrow, I will soon have (too much) time to bombard you all with endless European and Chinese updates until you’ve felt liked you visited those countries yourselves. Until then, I’m going to continue soaking up ever drop left of this amazing trip I have left, which includes some exploration of Iceland! I'm Amy, an aspiring writer, traveler, psychologist and recent transplant to Denver, Colorado. Amy Tries To Write documents my attempts at following my creative spirit while pursuing my graduate degree in psychology and dealing with my constant wanderlust. Have a seat and peruse awhile, I'd love to get to know you!